These keto muffins are moist, delicious and the frosting is absolutely incredible. 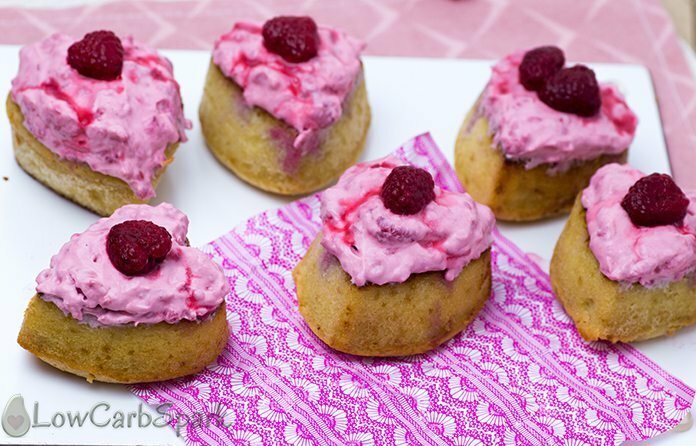 Each muffin has only 5 net carbs including the frosting and raspberries. It’s hard to believe that you can have keto desserts that are so tasty and easy to make. 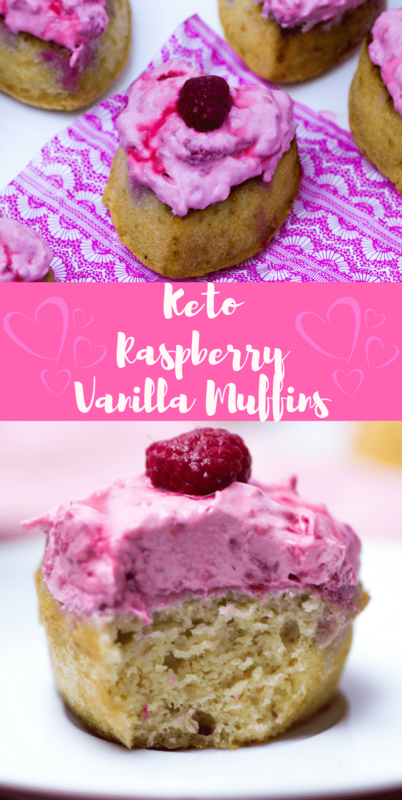 Whether you are following a ketogenic diet, a low carb diet or just want a sugar-free treat for Valentine’s day, these keto muffins with vanilla and raspberry are a total hit. You will fall in love at first bite. 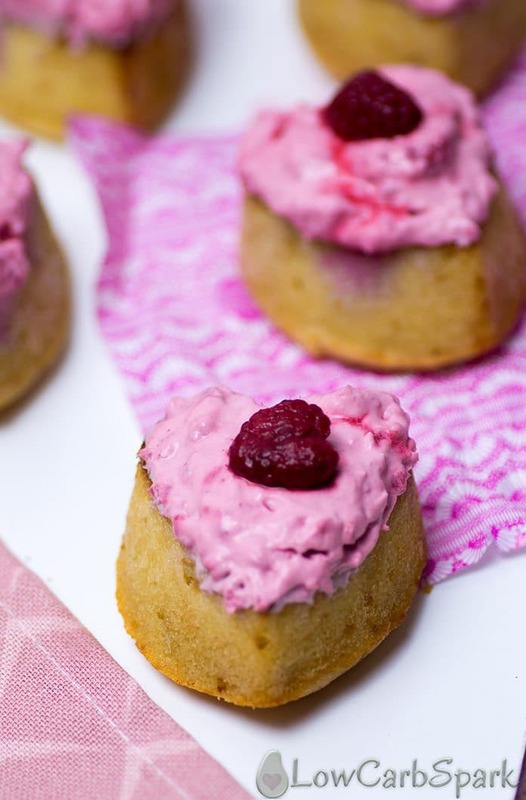 What could be better than heart-shaped muffin all covered in a nice pink all natural raspberry low carb frosting? You don’t need to be a cooking expert to make these festive and delicious keto muffins. 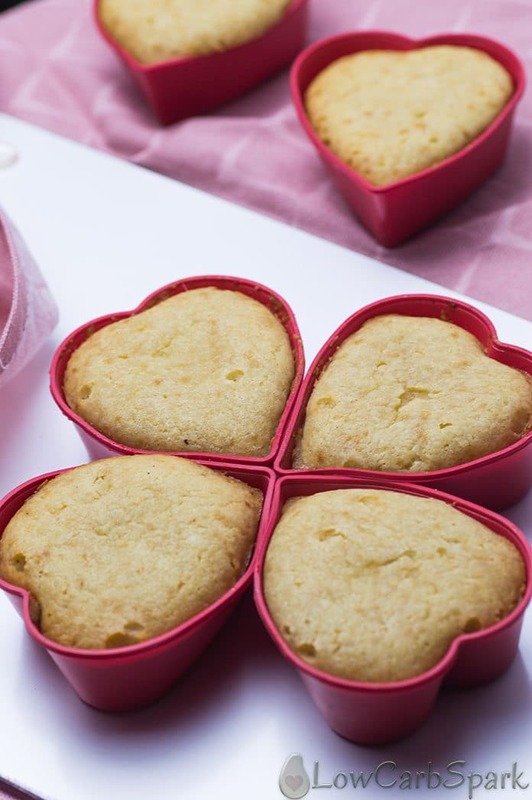 Surprise your loved one with healthy low carb muffins. Nothing says “I love you” more than showing support and trusting the journey. 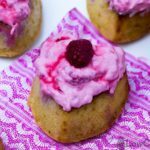 How to Make Raspberry Vanilla Keto Muffins? As you can see from the ingredients list, you don’t need many and trust me the result is incredible. 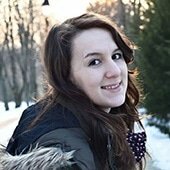 I am sure you will love them. Both the keto muffins and the natural frosting are incredibly easy to make. The super moist and dense vanilla muffins perfectly match the fresh sweet and sour creamy mascarpone frosting. I am totally amazed at every bite. My heart shaped molds are very old and I don’t know where you could find something similar. I searched on Amazon and this one seems to have to same dimensions as mine. The hearts measure 2-1/2 inches. If you use smaller molds, the recipe will yield more muffins and the macros will decrease. Let me know in the comments below how they turned out! Have you made them for you or for someone special? 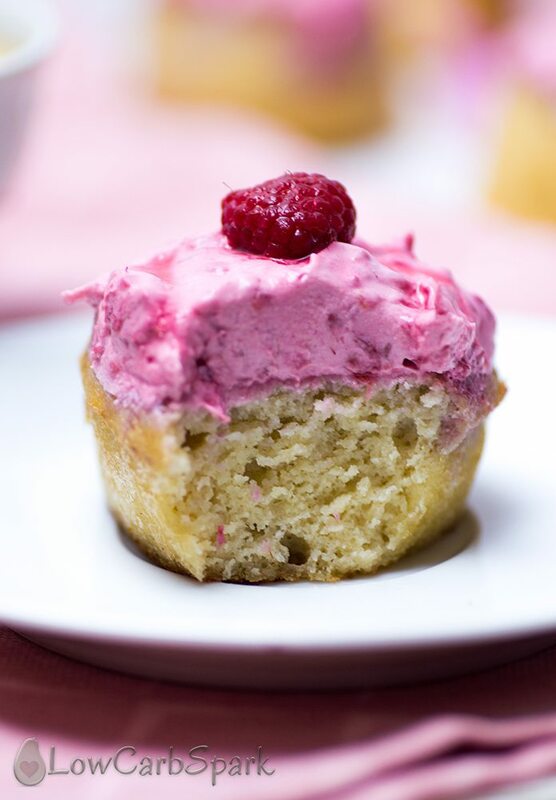 A deliciously fresh and filled with love raspberry vanilla keto muffins. 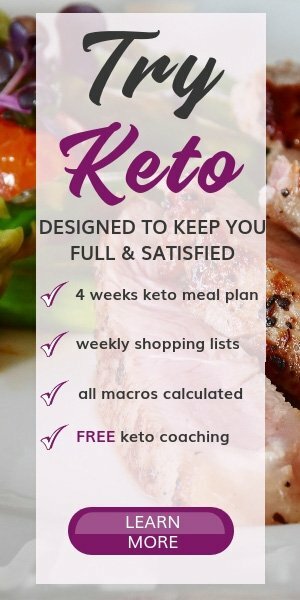 This is my all-time favorite keto muffins recipe because is so easy to make and turned out great every time. In a medium bowl mix the almond flour, sweetener and baking powder. In another bowl mix the wet ingredients: eggs, coconut oil, heavy whipping cream. Combine the wet and dry ingredients together until you get a muffin batter consistency. Evenly distribute the batter among the muffin cups. Bake for 18 to 20 minutes until firm and slightly golden. Let them cool down. Meanwhile, mix all the ingredients for the frosting. Top each muffin with one tbsp (or more) frosting. Serve!